Become a Whisky connoisseur in your own right. Have you ever been daunted by the sight of whisky options? From your pocket, Whisky Journal allows you to learn about more than 4,000 drams from all around the world. Read fast facts and even discover what your friends think, via our Facebook integration. Be the Whisky Pioneer in your group. Discover and make informed Whisky buying decisions, by searching or browsing through our extensive Whisky Database. You'll find Scotch, Bourbons and World Whisky from all walks of life. Keep track of what you've tasted. Start your Whisky Journal now, by simply tracking what you've tasted and what you thought of it. You can rate with a star, appraise the aroma, taste, body & finish + keep your general thoughts on the drop. Not everyone is born a Whisky snob! Added to regularly, we have the basics covered such as How's Whisky Made?, How does Scotch compare to Bourbon? and How should I taste Whisky? View the Whiskies your Facebook friends are trying in your Whisky Journal friends feed. Looking for a gift? View your friend's profile to see their favourites, ratings, tasted and wishlist. Looking for something good? When browsing a bottle, if your friends have rated, their rating will be right there. A DATABASE OF 4,000+ WHISKIES AND GROWING! We want to create the world's largest curated Whisky database. We don't want it packed full of double-ups, we want an easy-to-find list of Whisky to help you experience Whisky more easily. Help us by suggesting the Whiskies we've missed. The proof is in the pudding, as they say. 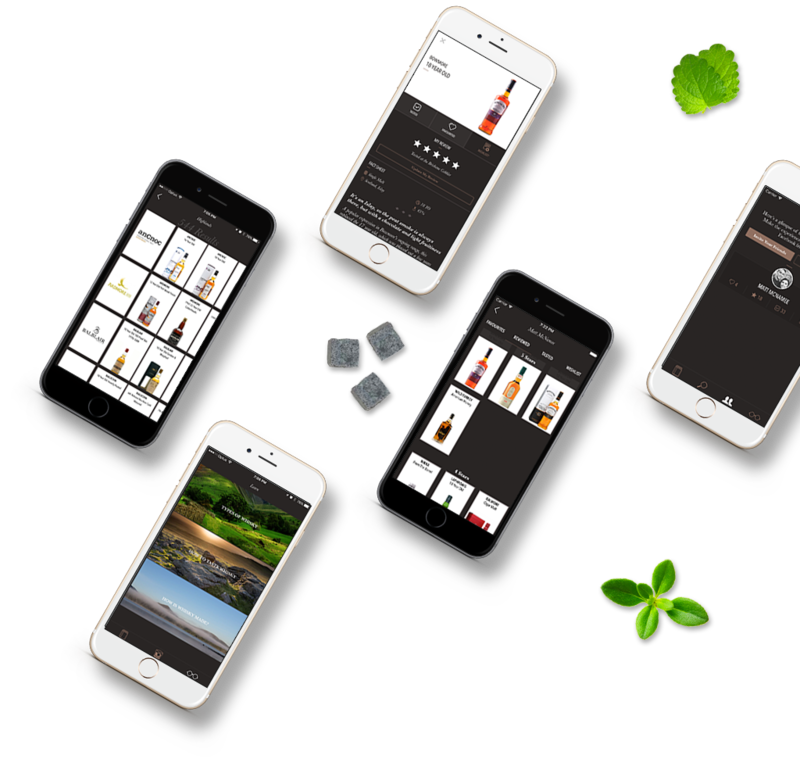 Thousands of whisky lovers choose Whisky Journal, and actively use the app each month to keep track of their whisky tasting journey.